Nicolae Ceausescu lived in denial. 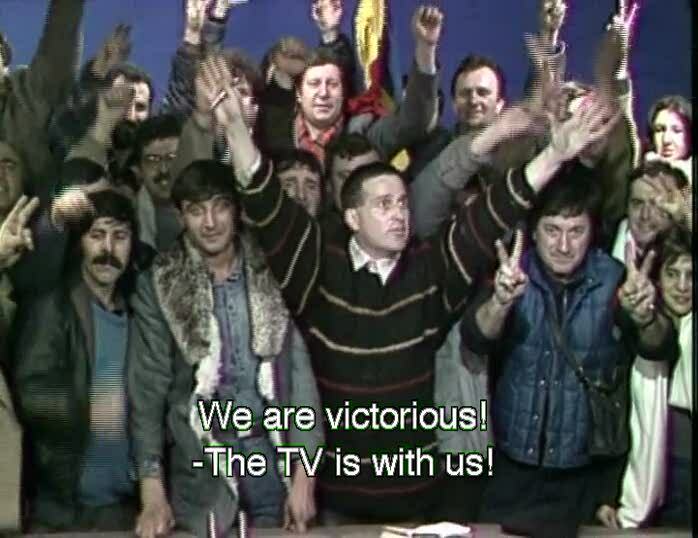 In the first scene of Andrei Ujica’s The Autobiography of Nicolae Ceausescu (2010), which is almost the last scene of his life, Ceausescu, in the makeshift TV trial that the revolutionaries have organized, denies that he had anything to do with the atrocities of the previous day. Given sufficient time, he might have denied that he had anything to do with Romania’s dilapidating condition at all. The prosecutors did not give him that privilege. Ujica does. 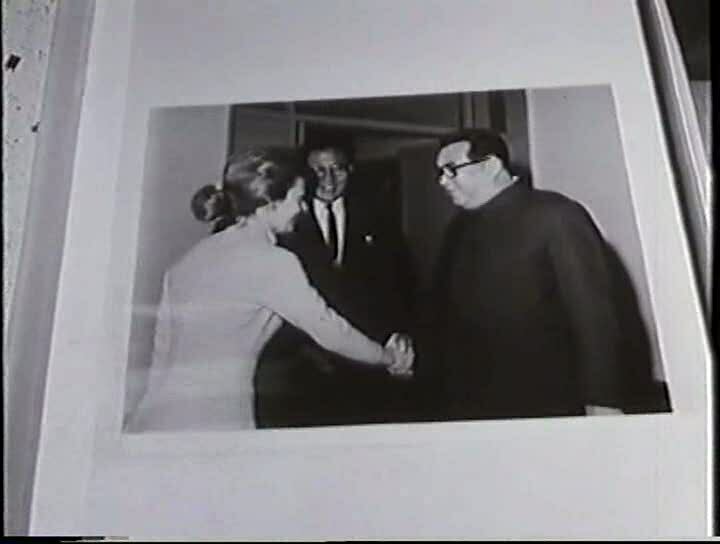 Apparently the result of research on hundreds of hours of historical footage, Autobiography assembles three hours of newsreels that Ceausescu had, indirectly, made for himself, carefully putting together a nationwide mise en scène and a troupe as large as Romania’s population. Ujica’s is a film that resides on the edges of the frame, one that works only on hindsight, with knowledge of what really transpired. We mostly see Ceausescu waving hands and applauding amidst the countless Fordist parades in which people are reduced to flag-waving anonymities. He’s not particularly unlikable. In fact, he seems quite amicable. One could mistake him for a token detective from an American noir or a French film director of the 60s. 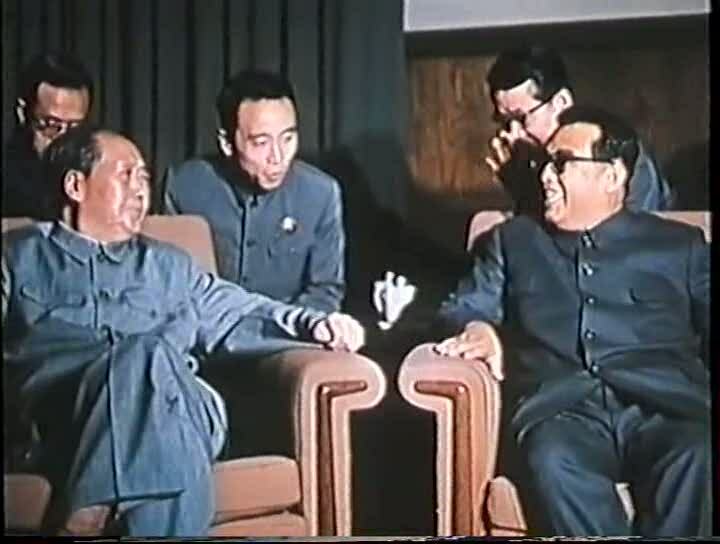 Contradictory alliances are formed (Both Nixon and Mao seem to have had good relationship with Romania). 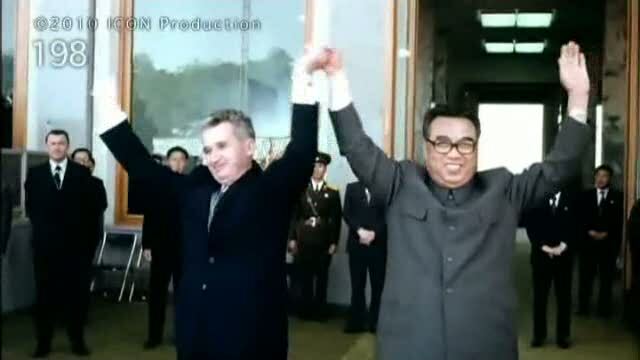 In fact, Ceausescu seems to have been friends with every major leader. But Ceausescu’s downfall, in which the last hour of the film is interested in, is also, for better or worse, saddening. His words and gestures become more rhetorical than passionate Like Carlos, here is a man who is stuck in a time capsule adhering to his beliefs and illusions when the world has moved beyond him. Nicolae Ceausescu lived in denial. 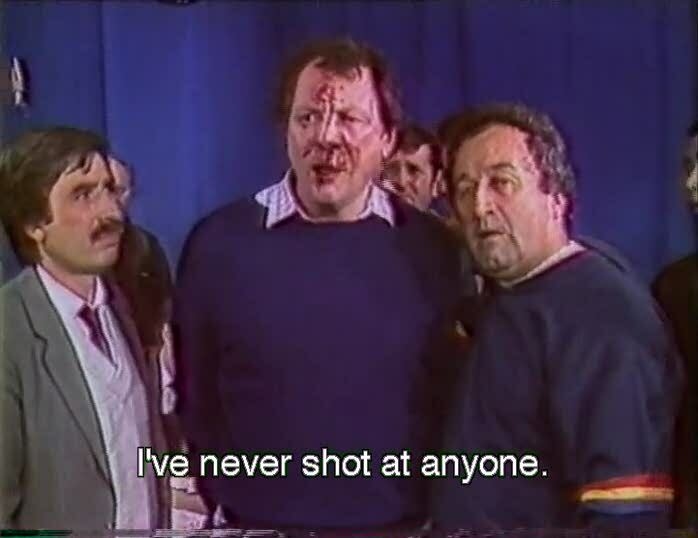 The first thing that strikes us when watching Autobiography is that it does not insert alternate footage to counterpoint those that we see. (The only external contrasting force comes from our current knowledge of Romania during that period). Neither does Ujica employ shot footage nor does he use other Romanian films of the period to fill in the gaps. (This may be because, as it was the case in Stalinist Russia, the alternates to propaganda cinema were probably only apolitical melodramas or socialist realism). Unlike filmmakers such as Anand Patwardhan and Alanis Obomsawin, Ujica seems to place trust on the propaganda clips themselves to illustrate the interstices between them. He uses clips that Ceausescu himself would have used had he written a film autobiography. For instance, the famed footage of Ceausescu’s final speech and his consequent bewilderment and that of him and Elena fleeing in a helicopter are cleverly omitted. 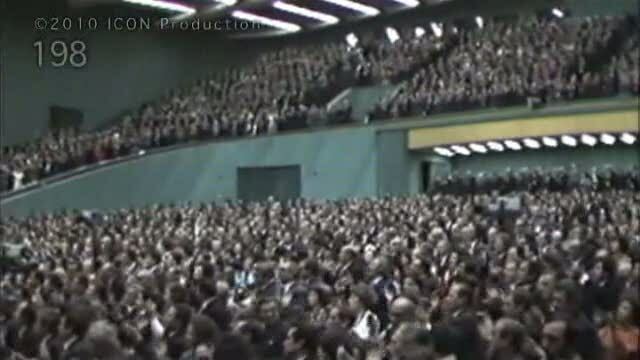 The film cuts from Ceausescu’s trial to the past as if going into a flashback. This shift could either imply Ceausescu trying to vindicate himself using the autobiography that is to follow or Ujica/the prosecutors trying to incriminate him using the same evidence. The film is both an encomium and a critique. It’s Rashomon situation on a national scale. 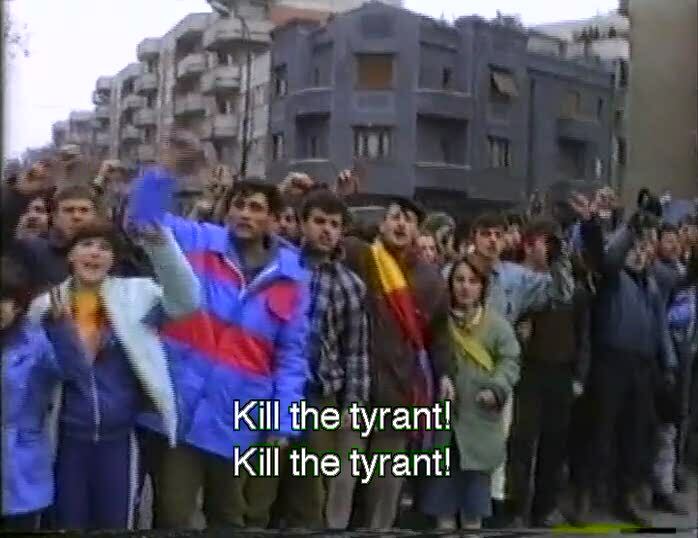 Taking a deconstructive approach wherein he lets the contradictions in the footage surface by themselves and using custom soundtrack to multiply the pomp or, less often, provide irony, Ujica elucidates how the Ceausescu regime was marked by suppression of histories and silencing of oppositions. 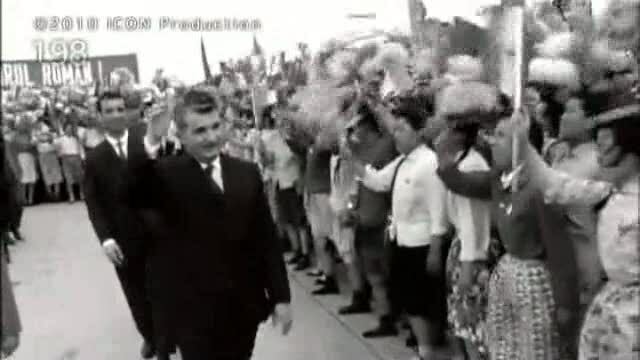 After I watched Ujica’s picture, I wondered how it would have turned out if Ceausescu had indeed made his autobiography using the footage he had amassed. Of course, Ceausescu didn’t make such a film but, I guess any such self-serving propaganda made under a dictatorial regime should share traits alluded to by Ujica’s film. 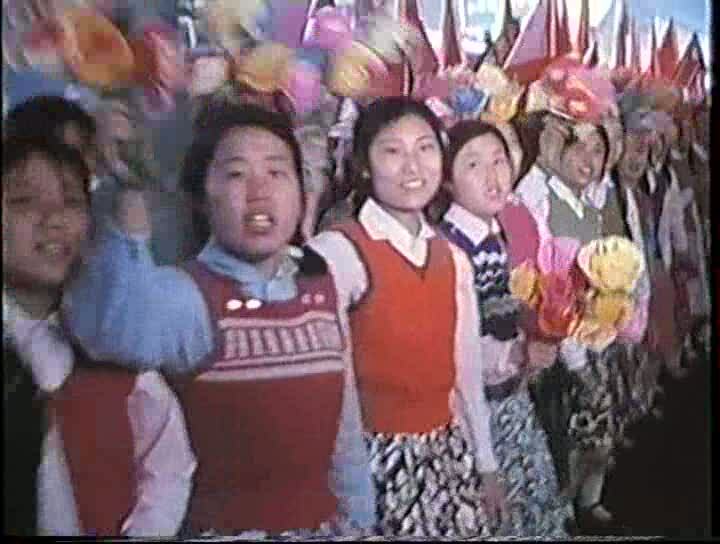 I couldn’t get my hands on any such Romanian film, but I did see a North Korean propaganda film made for (by?) 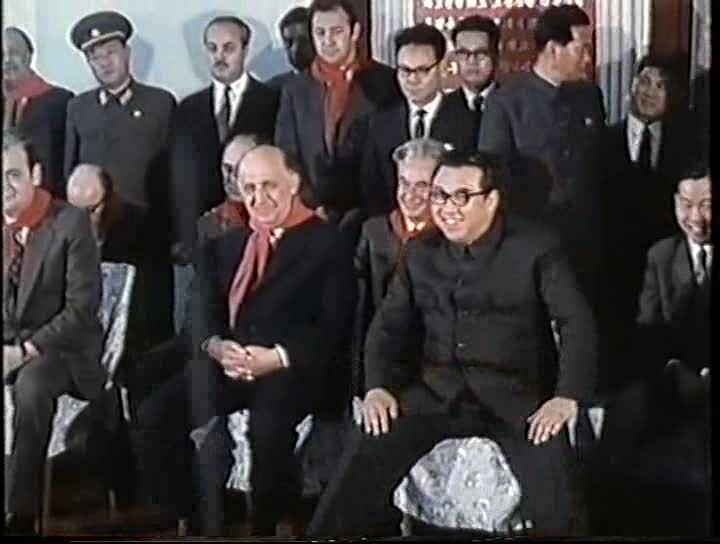 Ceausescu’s friend and contemporary, Kim Il Sung, modestly titled President Kim Il Sung Met Foreign Heads of State and Prominent Figures April 1970-December 1975 (1976) which recites by rote the various meetings that the premier held during the aforementioned period. 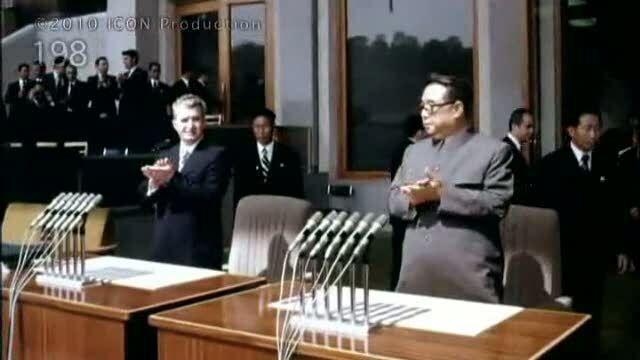 In fact, the title becomes amazingly self-parodying once you see the movie, whose script consists of the following line, with minor variations, repeated a hundred times: “On [Insert Date], President Kim Il Sung met [Insert Name], the [Insert designation] of [Insert name of communist country], in a brotherly environment to express his support for [the people’s struggle against imperialism/strengthening bilateral relationship]. 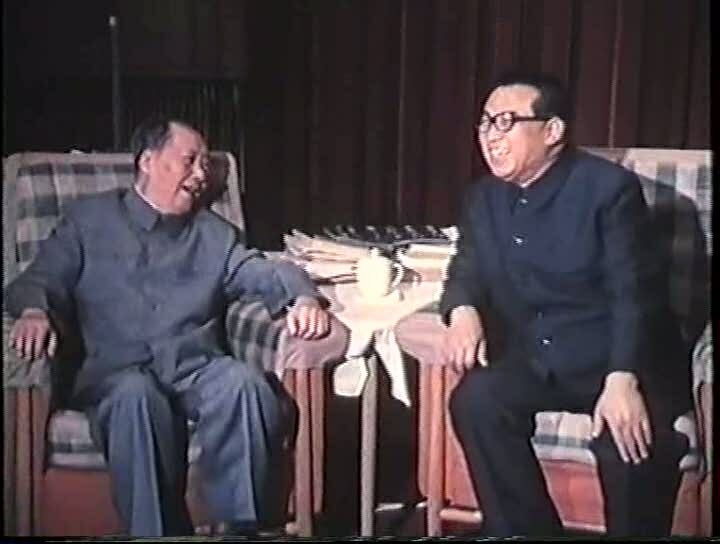 [Name] praised General Kim Il Sung for [his noble virtue and leadership/his immense contributions to anti-imperialist struggle worldwide/his exploits in progressing mankind]”. 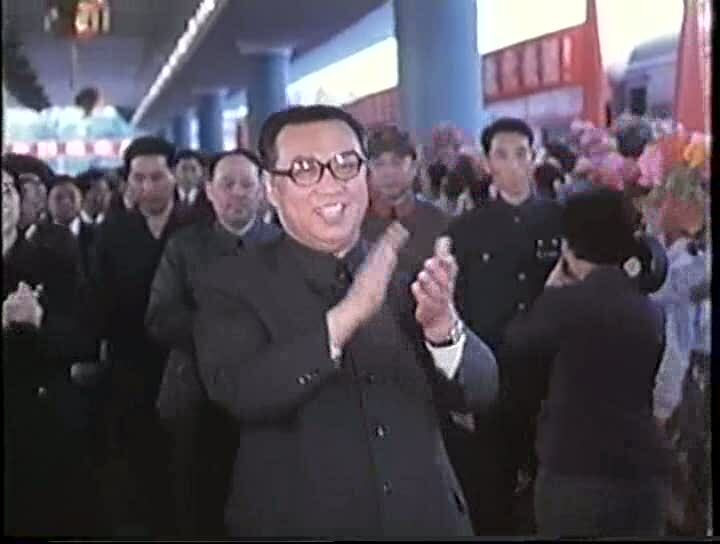 The film is never blatant as Ujica’s pseudo-autobiography might suggest, with even remotely problematic areas being cleanly pruned out, (The closest the film (unintentionally) gets to the truth is when the narrator points out that Kim Il Sung “brought about a spectacular reality in Korea”). However, one can still trace, with considerable effort, the counterpoints are seething underneath the rosy audiovisuals. 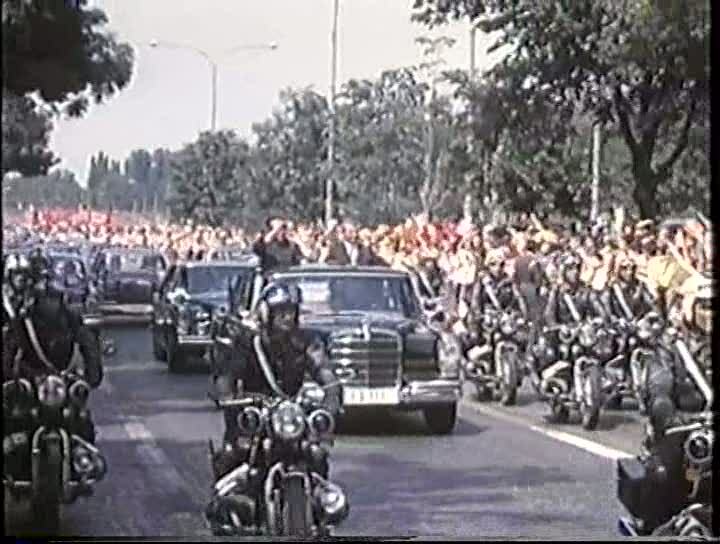 Thousands of dressed-up people gathered for pomp, hundreds “being rounded up” to welcome the premier and the omnipresent absence of the individual are all dehumanizing in a way. 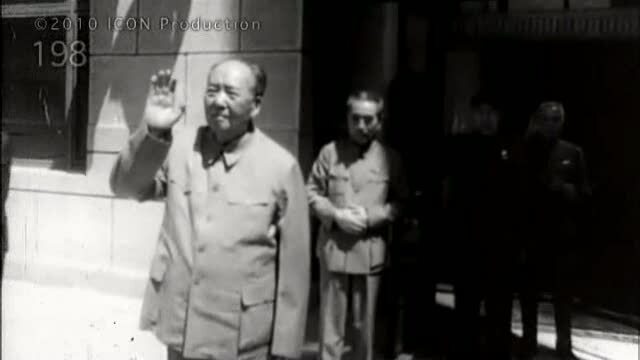 The president praises his Japanese counterparts to no end while he talks elsewhere about Korea and China’s joint efforts to ward of Japanese imperialism during the war. 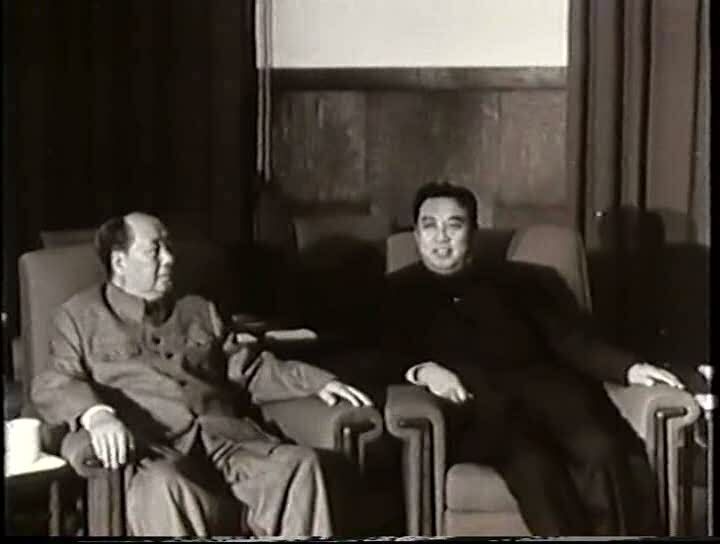 In the meeting footages, Kim Il Sung is generally the centre of attraction in the frame – a fact understandable given his imposing physique. His counterparts are regularly pushed to the edges and appear nimble in relation to the composed stature of Il Sung. The president is always cheerful, applauding, waving, at ease and possesses a singular command of his space. One could mistake him for a veteran stage actor. 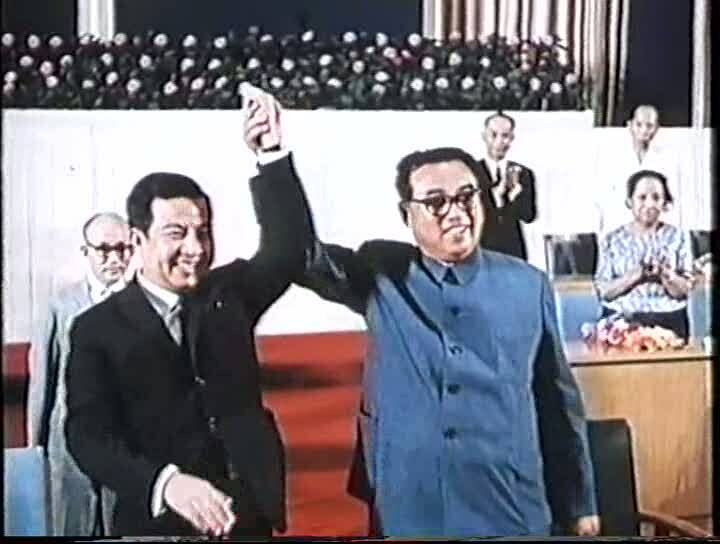 The message here is clear: The world looks up to Kim Il Sung and the way he rules your country. This is the best you’ll get. 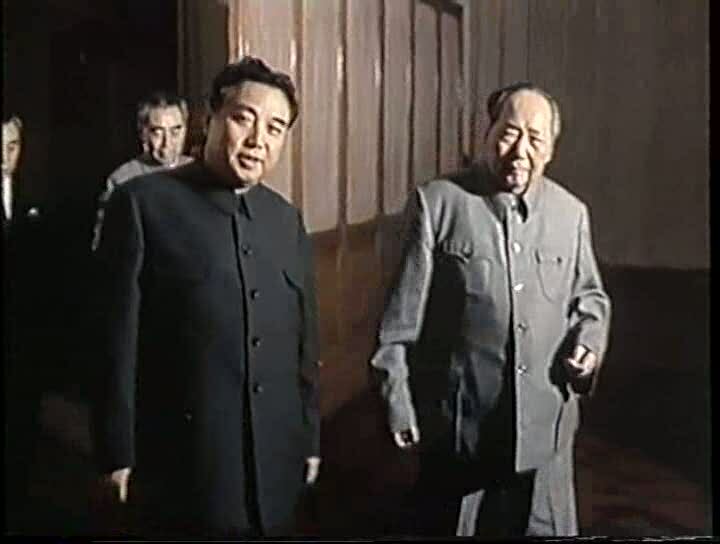 Looking at the two films, it is clear how Ceausescu was influenced by the North Korean cinema (probably more than its policies), which, in turn, has echoes of Riefenstahl. 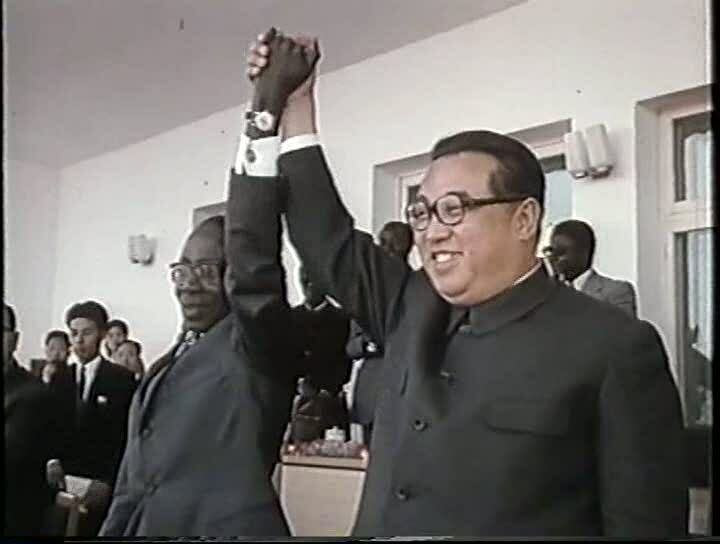 They seem to have been directors more than dictators. 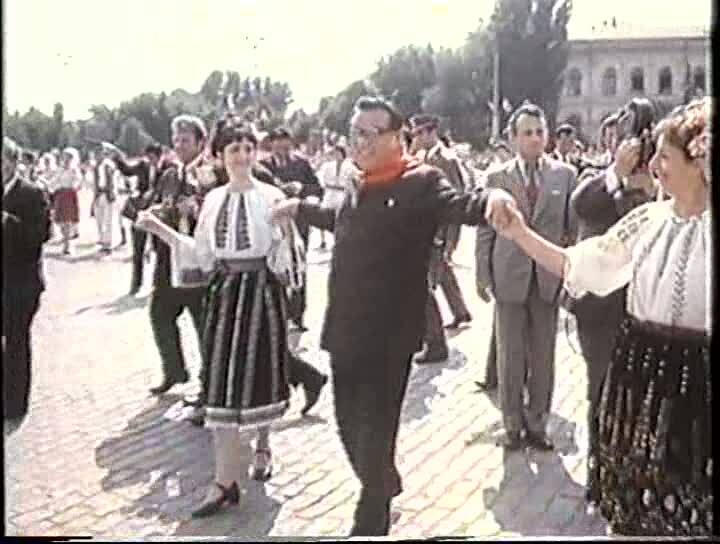 Ujica’s film is called The Autobiography of Nicolae Ceausescu, but it also holds well as a biography of Romania because not only does it cover a huge ground in terms of historical time, it also seems to allude to attitudes that would define Romanian culture even after his deposition. The figure of Nicolae Ceausescu seems to loom large over contemporary Romanian cinema. Almost all the “New Wave” films from the country have had Ceausescu or his regime at their focal point. 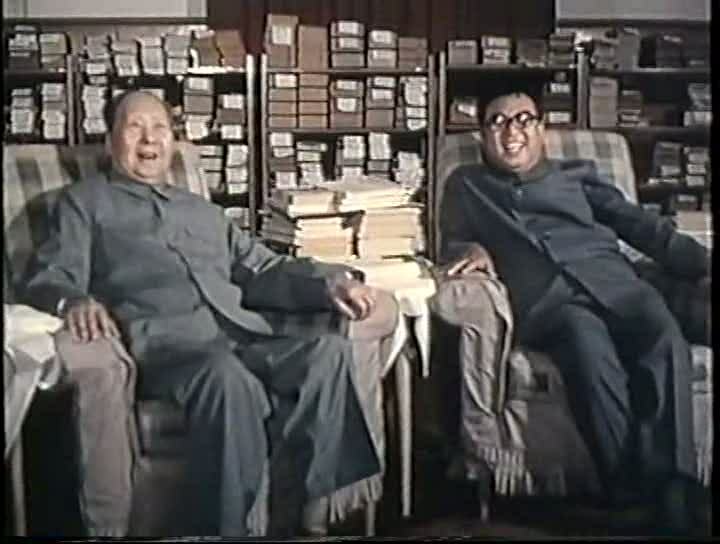 Films such as Tales from the Golden Age (2009), which no doubt treat history as a closed project, confront the past directly and provide a neat picture of what it is to live in a communist-dictatorial state (The “hat” and “pig” segments are simultaneously moving and hysterical) while even a work that is so hermetic and microcosmic on the surface like Radu Muntean’s Tuesday, After Christmas (2010), set during the 20th anniversary of Ceausescu’s execution, is haunted by the events of the past. Underneath, Muntean’s film seems to triangulate between a disillusionment with the present (post-globalization Romania), a nostalgia for the past (possibly the socialist age) and the dread produced by the knowledge that nostalgia, more often than not, is the longing for a past that never was. Both features of Corneliu Porumboiu deal with residual theatricality that marks contemporary Romania. In the first film, the revolution against theatricality itself makes way for theatrical claims to glory and pride while, in the second, the capital attempts to project itself as a city that is more significant than it actually is. 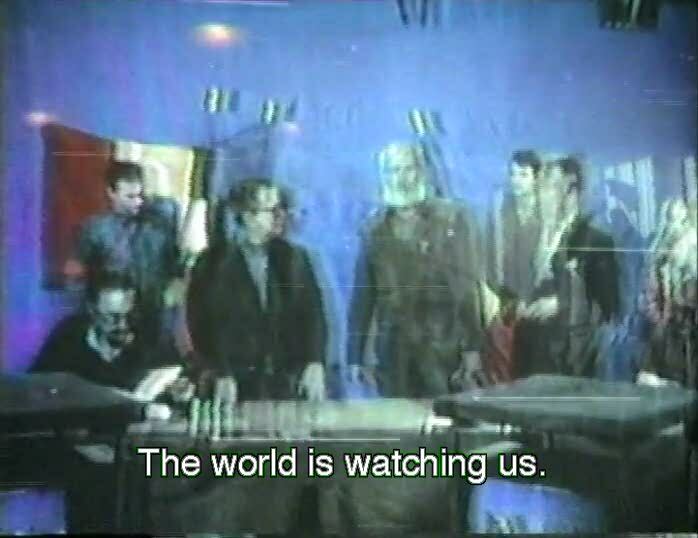 In fact, this seemingly quintessentially Romanian affinity for theatricality is part of the curriculum in Ujica’s debut feature, Videograms of a Revolution (1992), which he co-directed with Harun Farocki. 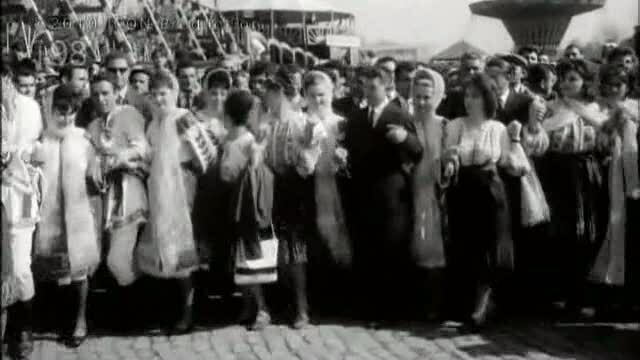 Videograms, possibly Ujica’s finest film and clearly a masterwork, presents us shards from the Romanian revolution in the form of small “video packets” that were shot at various locations in Bucharest during the days just preceding Ceausescu’s death. We get to see history as it is happening, in all its tragicomic elements, with multiple parallel governments being set up, phantom enemies generated, impromptu civil wars brewing and the relentless efforts undertaken by either side to restore peace. Unlike any other period in history, possibly with the exception of the clashes in Chile two decades ago that were “immortalized” by Patricio Guzman in his fly-on-the-wall documentaries, we witness how technological progress has enabled us to document history with utmost fluidity and urgency. There is no need for an Eisenstein anymore to recreate the revolution and overwrite the actual event. 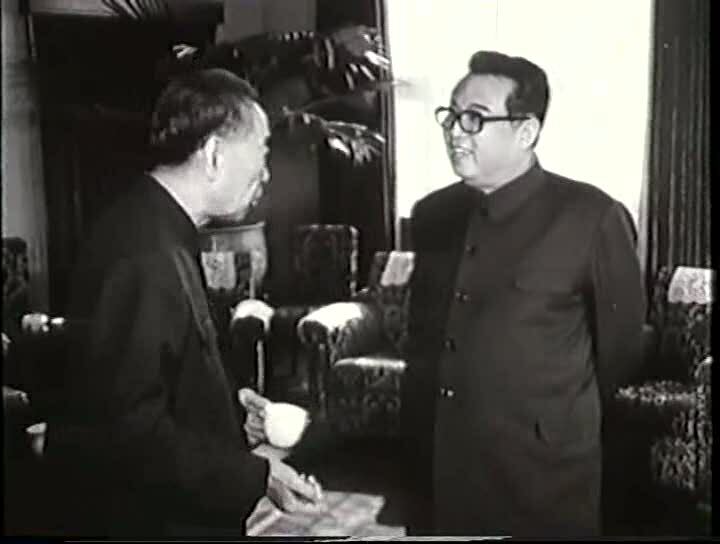 This relationship between technological progress, the subsequent changes in modes of production and the possibility of social progress is of central interest to Videograms. It tries to find an answer to whether revolution is primarily the seizure of the forces of production from authority or if there are certain fundamental, subtler issues to be tackled. Interestingly enough, the first thing that the protestors do after storming the party headquarters is to attack the television station. As the revolutionary forces take over the broadcast, we see not only their efforts to disperse the message to the public but also the theatricality that eventually overwhelms their exploits. Appropriation of the television station is taken for the appropriation of political power. 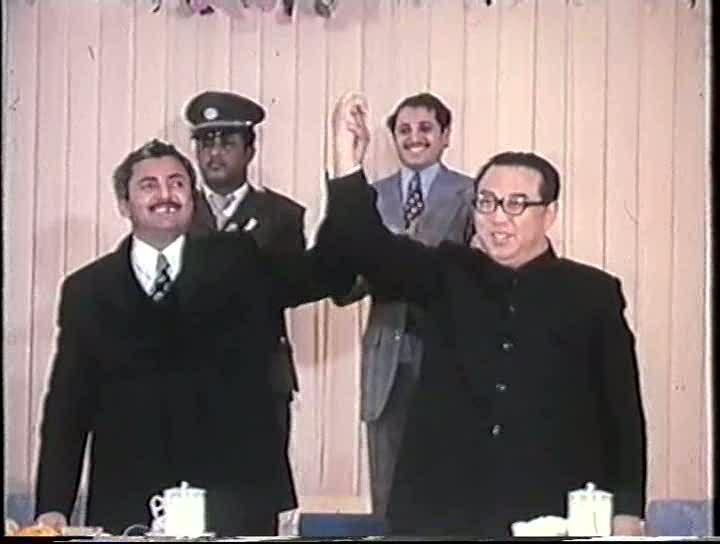 Prisoners (generally party members close to the dictator) are presented on TV, subjected to mockery-of-justice type vengeance trials and sentenced by impromptu courts and law makers, The abuse of (TV) power that was to be corrected persists, only under a different political scenario and for a different end. We see this abuse of power off screen as well, where the acrimony towards Ceausescu is misguided towards prisoners. Videograms, however, remains highly ambivalent about the role of television and cinema in the phenomenon. Its view is more rounded and holistic than the critical or exalting stances one might expect. The camera, in Videograms, is as much imprisoning as it’s liberating. 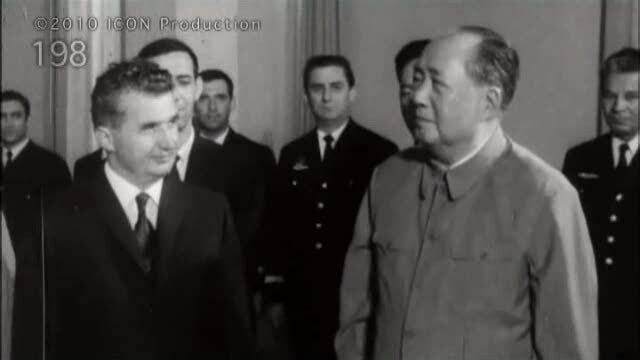 Perhaps this is the biggest irony that marks Ceausescu’s life. The tool that helped him hold power for decades became the very tool that accelerated his downfall. The pageants that highlighted his reign would give way to his own trial on the national television. And all the clapping at the end of those grand ceremonies would only end up in the cheerful applause throughout Bucharest when his death is broadcasted on television. 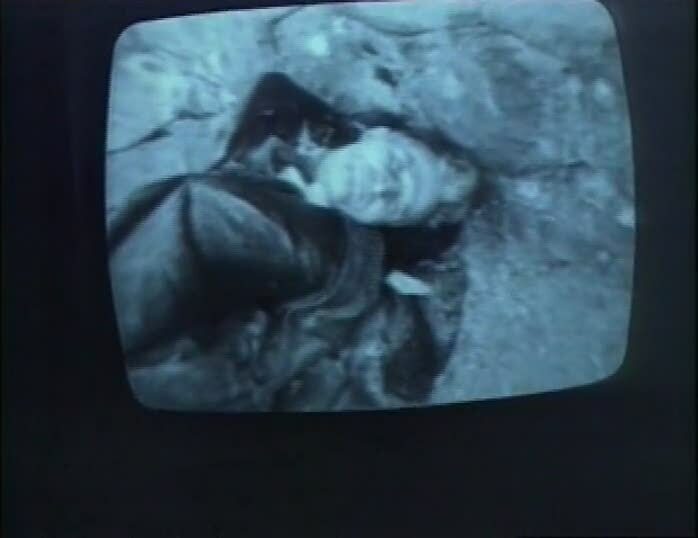 After images of the corpses of the Ceausescus are flashed on television for the confirmation of the event, one reporter yells as the screen fades to black: “That’s it then, turn it off”. Ujica’s previous film, Out of the Present (1995), also involves a man cut off from the world, literally. Evocative, slightly frightening and borderline-experimental, Out of the Present chronicles Soviet cosmonaut Sergei Krikalev’s 10-month stay at the Mir station during which time his country collapses. Ujica intercuts between the tumults in Moscow and scenes of Krikalev’s floating about in free space to sketch the portrait of a world in transition. He’s a man who, in the process of leaping into the future, loses grip on the present. For Krikalev, like the citizens of Bucharest in the previous film, reality is what the media tells him it is. In addition to his physical severance, he is, like so many of his counterparts on earth, a man alienated from history through the very images that present history. But Krikalev’s case is even more heartbreaking given that fact that he is the only person from his country to have not witnessed this historical juncture and that he’ll be returning to a country totally different from the one he lived in. This idea of media as the appraiser of history and the diaristic construction of Out of the Present presage the autobiographical structure of Ujica’s latest. Coming back to The Autobiography of Nicolae Ceausescu, which attempts to sum up the entirety of Ceausescu’s regime as a large-scale theater with Romania as the stage, the Romanians as the performers and the Ceausescus as the stars. 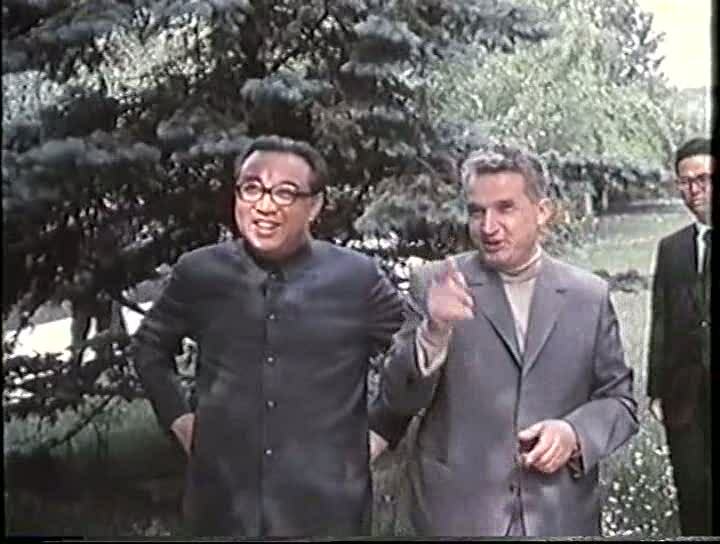 Ujica’s film suggests that in Ceausescu’s rule, cinema was treated like politics and politics, like cinema, that he was amassing wealth to no end while the whole country was in dire straits and that all was illusion. Although there might be some truth value to it, It seems to me that such a sketch is rather dangerous and complacent since it runs the risk of reducing a ruthless dictator to a charlatan who knew how to make the right moves. 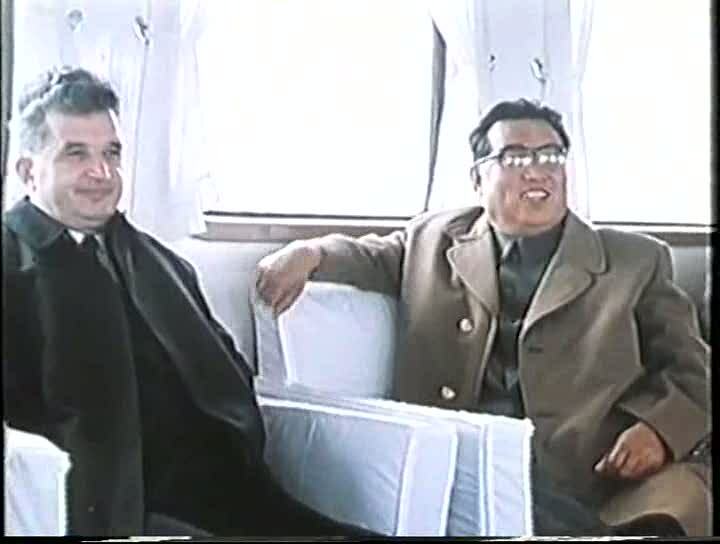 Ujica deals with Ceausescu more or less like how Assayas deals with Carlos. Both these political figures have been drained of their potency by their writer-directors and turned into interesting characters with simple psychology and behavioral pattern. There is little reason to believe that all the pomp and self-aggrandizement would have vanished had Ceausescu been a democratic ruler. The cult of the leader is largely independent of such scenarios. 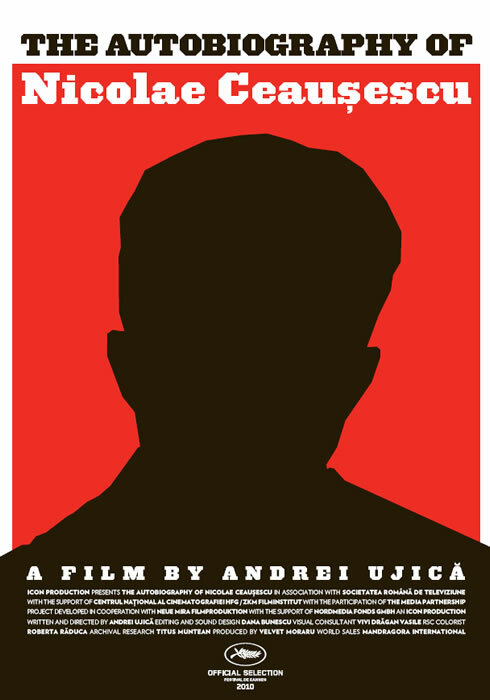 Given that Ujica intended to make a film critical of Ceausescu that would have resulted even if the latter had made it himself, it is understandable that he was obliged to leave out certain implicating footage. But this self-imposed restriction becomes a damaging limitation in Autobiography. 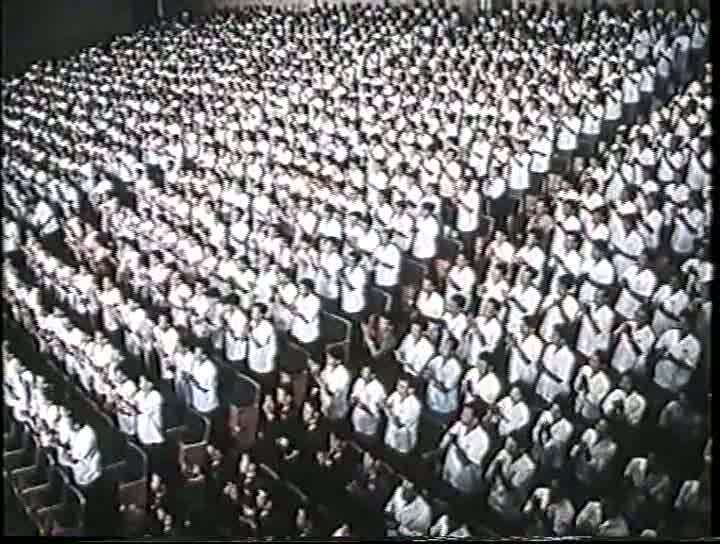 Ujica’s message is clear even minutes into the film. In trying to develop a pseudo-laudatory autobiography and a stinging critique out of the same material, Ujica, I’m afraid, only dilutes the latter. 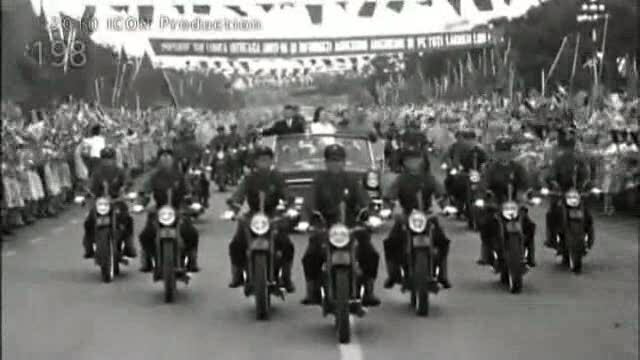 Compare this with the density that the remarkable BBC documentary The King of Communism: The Pomp & Pageantry of Nicolae Ceausescu (2002) achieves despite its flaws and its reduced running time. Like Ujica, writer-director Ben Lewis believes that Ceausescu’s regime was fuelled by such grand scale performances. But instead of relying on these very performances to elucidate the flipside, Lewis keeps interjecting anti-narratives of every sort that keep countering reductive narratives such as Ujica’s and Assayas’. 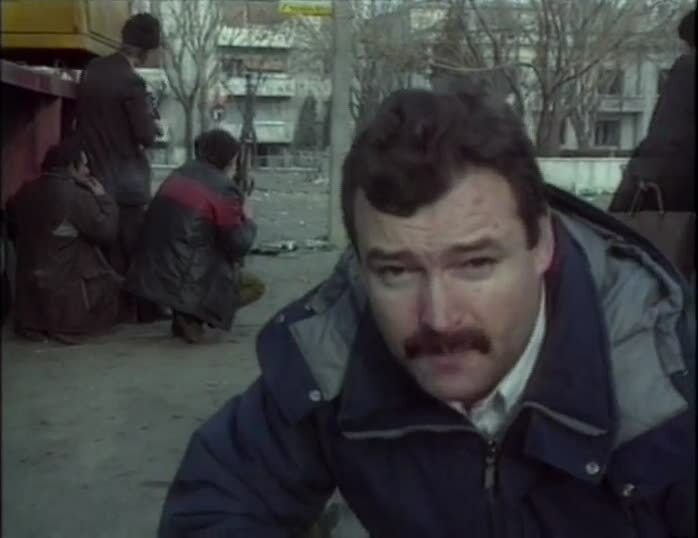 One of those interviewed is a TV reporter who was filming Ceausescu during his infamous final speech. 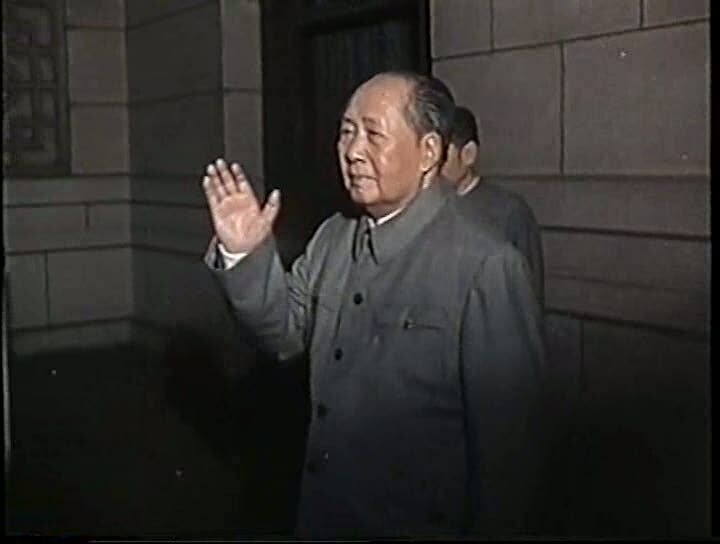 When asked why he did not telecast the agitation in front of the palace instead of the unrest at Ceausescu’s balcony, he tells us that it would have been against the ethics of his profession. It is not that he is deluded or against democracy. It is just that such an act would never have been unethical considering his situation. Lewis’ film is rife with such deadlocks that tend to disrupt totalizing narratives such as the one The Autobiography of Nicolae Ceausescu presents. For instance, it probes why ever did the Romanian public cooperate in this mythmaking. After all, it was this nationalistic propaganda that enabled Ceausescu to resist the imperialism of the superpowers and to build a stable nation. Some of the interviewees still assert that Ceausescu represented their country with dignity at the world stage, although it was precisely this misplaced sense of self-respect that turned against both Ceausescu and Romania. 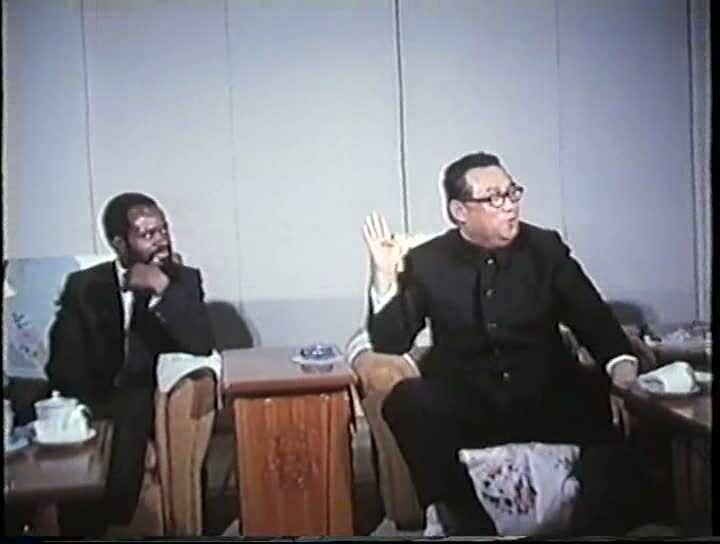 Through interviews with people who had really taken part and performed in these pageants, Lewis arrives at the conclusion that it was all propaganda by the public and for the public, and not a one man show as purported by Ujica’s film. We come to know that people actually looked forward to these shows that helped them regain their trust towards the nation. They’re even nostalgic about it. 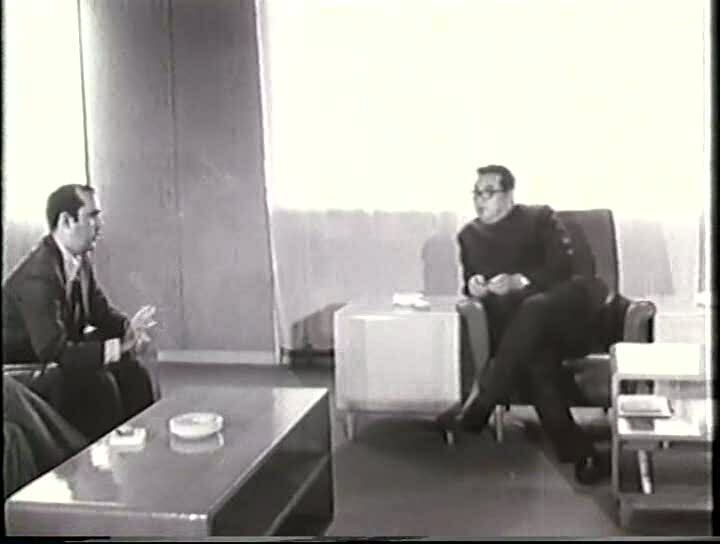 Lewis points out that the performer-audience relationship was reversed at the end of each show and illustrates how it was of double advantage for Ceausescu. For him, it was both an august propaganda and an effective distraction. For the public, it was both escape and replenishment. Through these accounts, we gradually get the idea that Romania was not being cheated some clever, omnipotent trickster, but that it was in a hyperreal situation where the truth of the matter was overridden by ‘appearances’ that didn’t appear so. One perceptive lady tells us that it might have been better if the Soviet had indeed occupied Romania instead of Ceausescu holding ground. At least then, she points out, the Romanians would have had a visible enemy to fight against. Ujica’s film rejects such nuances, instead replacing them with a blanket rejection of Ceausescu’s regime as totalitarian and deceiving. What it does (and admirably so), however, is to question the way we approach historical material (and, consequently, contemporary material). It urges us to look closer, to keep our eyes open for obscured faces and our ears open for silenced voices.